Las Vegas police say one person is dead and three others are injured after being struck by a vehicle near the Boulevard Mall. The crash happened at South Maryland Parkway and East Katie Avenue around 6:30 p.m. Please avoid the area while police investigate. READ MORE . 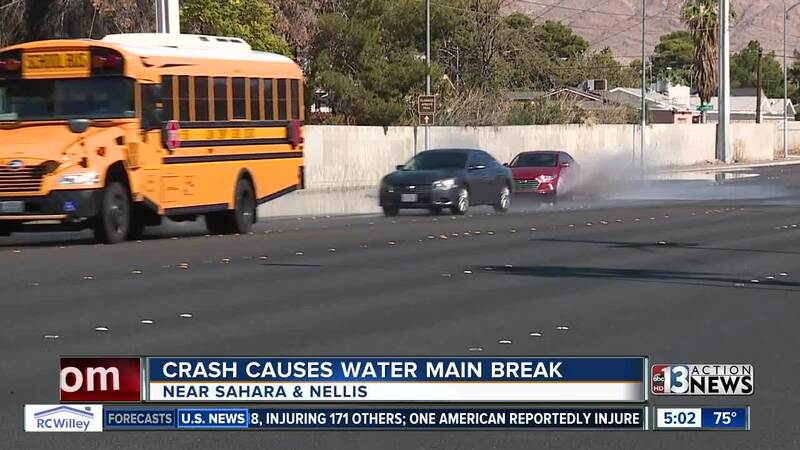 The Las Vegas Valley Water District is making a repair to a two-inch service line that was damaged during a crash in the 5100 block of East Sahara Avenue, near Nellis Boulevard. It is expected to be repaired today. A male cyclist is dead after being ran over by a dump truck, according to police. It happened near East Sahara Avenue and South Lamb Boulevard. 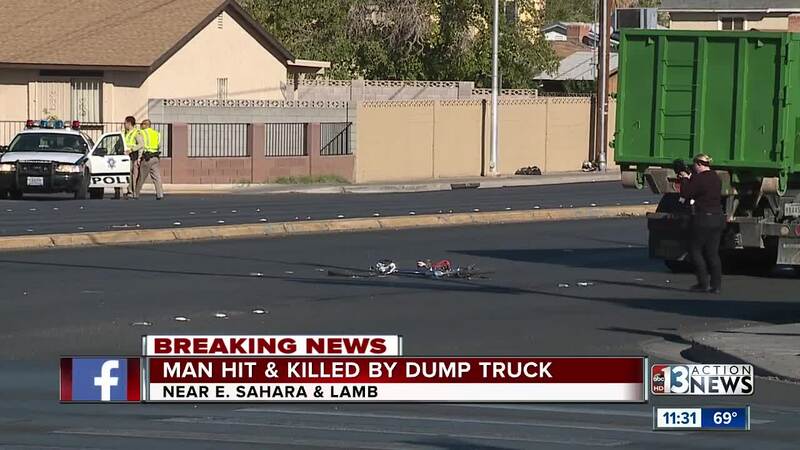 Police said the dump truck was turning right from Sahara Avenue to Lamb Boulevard when the truck hit a cyclist, riding across Lamb Boulevard at the crosswalk. The 47-year-old man died on scene. The truck driver is cooperating.